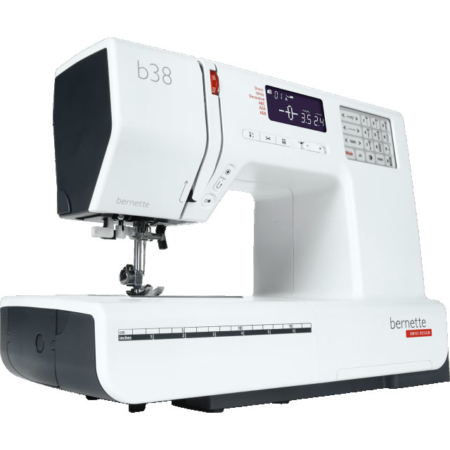 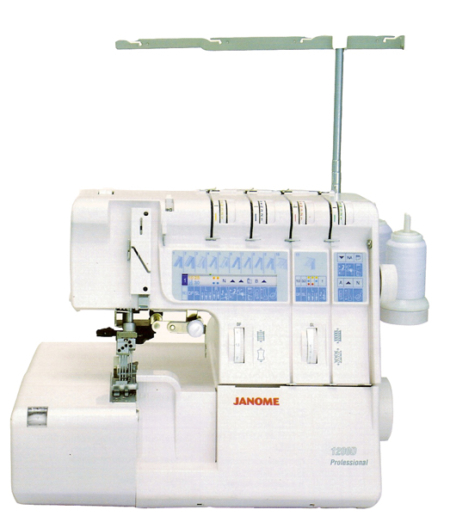 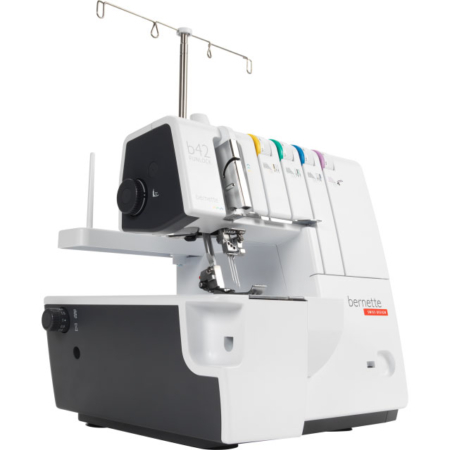 The bernette Funlock 42 is a coverstitch machine featuring a total of 3 different coverstitches with a width of 2.8 and 5.6 mm and a chain stitch. 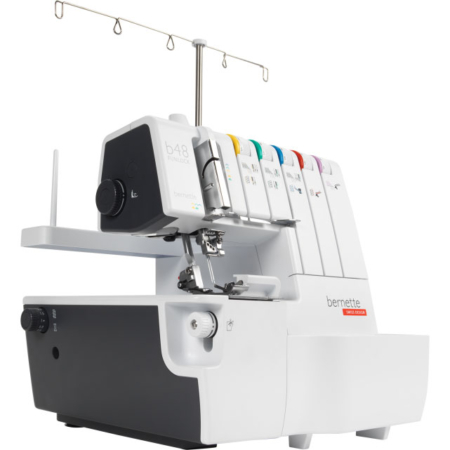 With it, you can provide your hems, edges and cuffs with professional stitches, giving your sewing project the perfect look. 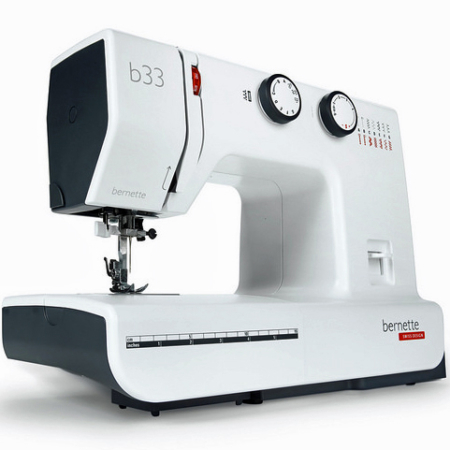 Excellent results can be achieved with the bernette Funlock 42, even with very stretchy fabrics and thin knitted fabrics. Threading the needles and loopers is also really easy, thanks to the separate needle threader and the looper threading mechanism. And to give you a good view of your sewing project, the bernette Funlock 42 also has a bright LED light.